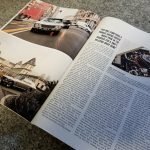 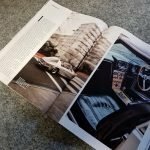 After a week of travel back in February 2017 to and from Turin for some of our team and 2 very special Jensen’s, our story is now published in the latest Octane magazine (#171). 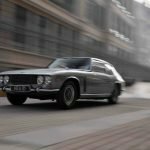 We took the very first production Interceptor HEA1D and a Vignale FF, no 006 for the Octane photo shoot and 3-day Automotoretro show at the Lingotto exhibition halls in Turin. 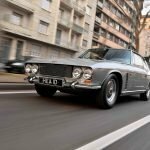 HEA 1D graced the roof of the original test-track on top of the once famous Fiat factory and was then taken on a trip out to where the original Carrozzeria Vignale factory still stands in Gruliasco, Turin where both cars were originally hand built in the 60’s. 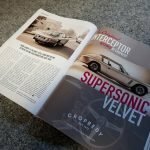 An evocative trip for both ourselves and the cars, returning HEA 1D to her birthplace was a special moment for all involved. 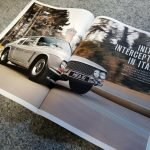 Thanks to Octane Magazine, the Jensen Owners Club and the management at the Fiat Lingotto Factory.